Five games you will want to look forward to at E3 2018. Here’s a list of five games that you should be looking forward to seeing at E3. A Sneak Peek at E3 2018. Coming around the corner is E3 2018. June 12 marks the date that “Gamers’ Christmas” begins, and everyone’s eyes will be on it. With the major success of both the PlayStation 4 and the Switch, there will be many hits on each platform. These include major franchises and new IPs, alike. This list includes both sequels to established classics and original IPs. I will list several games to keep your eyes on as the news unravels. Ten years ago, Koji Igarashi – and his team – created the last true Castlevania title. Castlevania: Order of Ecclesia debuted on the Nintendo DS in 2008. The legacy of Koji Igarashi, a.k.a. IGA, has garnered some of the greatest games for their respective platforms. Fans continue to herald Castlevania: Symphony of the Night as one of the greatest games of all time. SotN combined the exploration of Super Metroid and customizability of an RPG. Its successors on the GBA and DS were heralded as some of the best games on their system as well. Bloodstained seeks to continue that legacy. Prior to Shenmue III, it was the single most funded game in Kickstarter’s history. Combining the hack and slash elements with gaining magic relics, in a gothic-toned game created by the makers of Symphony of the Night, Bloodstained is a much-welcomed callback to a time long past. You can find Bloodstained: Ritual of the Night on the Nintendo Switch, Playstation 4, Playstation Vita, Xbox One, and Steam. 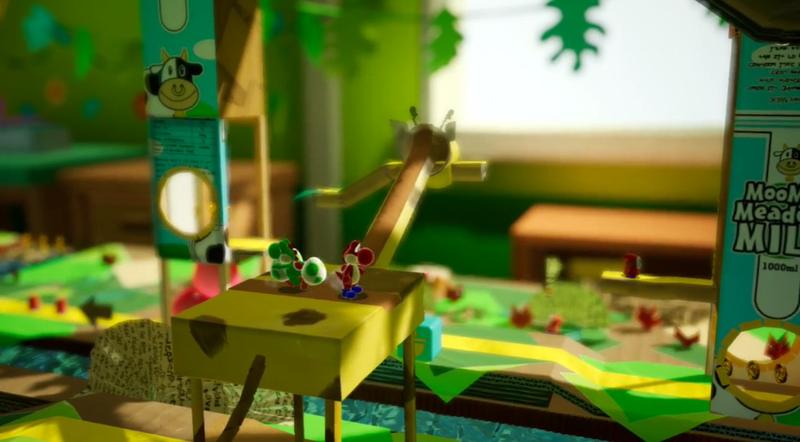 Going from dark and gothic to cheery and bubbly, Yoshi for Nintendo Switch is the successor to Yoshi’s Woolly World, released on the Nintendo Wii U in 2015 and re-released for the Nintendo 3DS – as Poochy and Yoshi’s Woolly World – in 2017. Yoshi’s Island, for the SNES, was a true classic. Its beautiful, charming visuals were just one part of what made up this classic. Wonderful, creative, and challenging level designs, extra stages, and epic boss battles. Its followups include Yoshi’s Story for N64, Yoshi’s Island DS for Nintendo DS, and Yoshi’s New Island for the Nintendo 3DS. None of them captured the original title’s level of success due to varying reasons, such as level design or challenge. Woolly World was more ambitious. Following the visual trail left behind by Kirby’s Epic Yarn, Good Feel developed a new Yoshi game using beautiful yarn visuals. The 2-player co-op invited people to play with their friends and family. The visuals were beautiful and creative, leaving the same landmark in the series that Yoshi’s Island did with its coloring book visuals 20 years ago. Now, Yoshi for Switch is the sequel to that title. Boasting new papercraft-type visuals and 2-player co-op, this seeks out to set the standard of 2D platformers on the Nintendo Switch. The series’ last game, SoulCalibur V, came out in 2012 – six years ago. This is the longest gap in time that the series has seen between numbered releases. SoulCalibur’s largest success came from the first two games. SoulCalibur was featured on the Sega Dreamcast, while SoulCalibur II was featured on the GameCube, PS2, and Xbox. Boasting a fast-paced, 3D, weapons-based battle system, these fighting games sought to break barriers in the genre. Armed with some of the most content ever featured in a fighting game, it left all players with many missions to accomplish while the pro players could duke it out in the VS mode. Gorgeous visuals – and a soundtrack to match – made this game more than a great fighting game, but an aesthetic masterpiece as well. The success of SoulCalibur III, IV, and V varies depending on who you ask. SC3 had a new Story Mode. However, the PS2 version had glitches, to include corrupted save files. SoulCalibur IV debuted the series on a new console. However, it lacked some of the single player elements of its predecessors, and many players disliked the inclusion of Star Wars’ Yoda, who was said to be broken. SoulCalibur V made new strides in its system, such as the Soul Gauge. However, it also cut out many favorite characters, such as Talim. All games lacked the speed and intensity of SoulCalibur II, which the developers are seeking to achieve. The soul burns fresh and burns brighter than ever before. While the roster continues to be slowly revealed, SoulCalibur VI seeks to return to form and brighter than ever before. Eight years ago, the last numbered Mega Man title debuted. Mega Man 10 was a multiplatform success. As a return to form to 8-bit Mega Man, and following in the footsteps of Mega Man 9, the 10th game in the series featured the classic action that players loved on the NES. Playing true to its roots, the 8-bit action featured chiptune soundtracks and the old-school visuals while fusing with challenging gameplay and stage designs. However, after the departure of Keiji Inafune – one of Mega Man’s creators – all plans on the series ceased and Capcom has kept tight-lipped on the future of the Blue Bomber. Mega Man 11 opts to take the series to the next generation. While Mega Man 9 and 10 played a little too close to the roots at times, Mega Man 11 is bursting out of its shell and delivering a fresh, new look. Considering the lukewarm reception of Inafune’s project, Mighty No.9, Mega Man 11 ambitiously seeks to keep the Blue Bomber’s success true. The undying passion of fans has cried out for a new Mega Man game for years, and Capcom has listened to their fans. 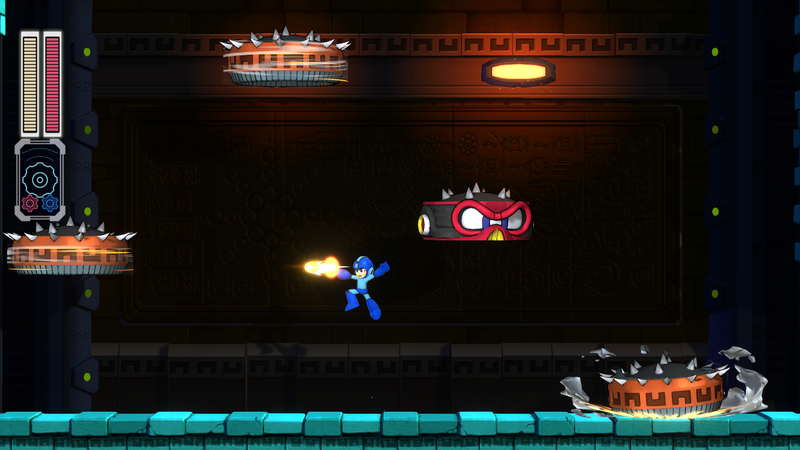 The newest project has been greenlit, and Mega Man is on his way to a brand new adventure. E3 2018 will surely deliver perhaps the preview for this year’s best platformer! Square-Enix is publishing a brand new JRPG this year. Developed by Silicon Studio, the development team behind Bravely Default and Bravely Second – two successful JRPGs for the 3DS – this will be the team’s first console endeavor in the current generation. The game’s storyline features and connects the stories of eight different protagonists, all of whose stories interlink with one-another. Described as “2D HD”, the beautiful effects shine brightly in a game with retro 16-bit spritework. This throwback to the days of the SNES and PS1 – the brightest days of the JRPG genre – will make veterans fans most pleased. It’s simplicity at its finest. The demo for Project Octopath Traveler came out for the Nintendo Switch last year. Featuring the storyline of two characters, people got to play a sneak peek at their stories and the battle system of the game. The story, particular that of the Dancer, Primrose, took turns in dark territory. Storylines of sexual assault, revenge, murder, and conspiracy were woven into what appeared to otherwise be a typical RPG storyline. The voice acting was dramatic, yet fitting. The soundtrack was engaging, featuring orchestral, fast paced battle music. You can use turns to charge attacks. You can also challenge any NPC in the game. This entails but a few examples of the game’s unique experience. In a recent interview, the developers have stated they are working to improve on the game. The developers released a survey on My Nintendo last year. The players gave their feedback and the developers showcased their improvements. 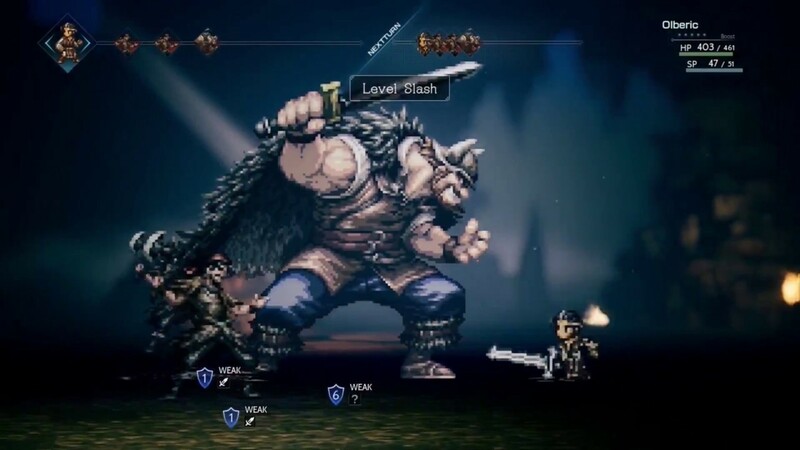 The level of polish the developers are seeking holds promise that Project Octopath will be a major contender for RPG of the Year. You can check the video on the developers’ progress here. Look forward to Project Octopath Traveler at E3 2018! These five games are among the many names that will be featured at E3 this year. While many players anticipate the likes of Kingdom Hearts III, Shenmue III, Spider-Man, and Metroid Prime 4, they will surely succeed due to their massive followings. The aforementioned titles hold a place in many people’s hearts and hold promise for being some of the best titles released in 2018. Be sure to keep an eye out on information. NerdBite will be here to cover you before, during, and after E3!